We all know ROI is important but what about TCO? The bigger picture:What is the long term cost of maintaining your UC investment? Total cost of ownership (TCO) is an important metric for assessing and tracking the risks, costs and benefits of UC solutions. Organisations who do not consider this question upfront may find themselves saddled with excessive ongoing costs.By analysing TCO upfront, organisations can compare competing solutions on an equal footing - like for like -and align those solutions with business needs, while understanding the effects of future requirements and functionalities. To help prospective customers understand the business and financial impact of UC systems, ShoreTel has developed the ShoreTel TCO Tool. Click here to download the ShoreTel UC TCO guide. Are you thinking of deploying Lync as your next corporate PBX? Due to Microsoft’s increasing presence in the enterprise unified communications market segment, many companies are either moving to Lync as their sole call control solution or integrating Lync into an existing PBX environment for specific departments or branch offices. On its own, Microsoft® Lync® 2013 supports voice communications with a rich mix of UC offerings, including presence, instant messaging and conferencing. But implementing Lync as a PBX replacement requires additional mission-critical communications elements to fully replace what you have today. AVST is pleased to announce a new direct IP Integration between Microsoft Lync 2013 and CX-E. This integration creates an easy migration path for enterprises looking to transition their PBX infrastructure to Lync. View the video on how AVST can extend your Lync environment or download the brochure now. OpenText partners with industry-leading MFP vendors, bringing advanced RightFax integration to devices from Ricoh, Xerox, Konica Minolta and HP. OpenText also includes a Universal Interface to allow nearly all MFP makes and models to integrate with RightFax. Imagine... all the features of a sophisticated phone system without the hassle and expense! Control and reduce your telephony costs. Manage multiple sites or multiple customers from a single interface, with separate billing if required. Provide users with voicemail to email and many other Unified Communications functions including mobility. 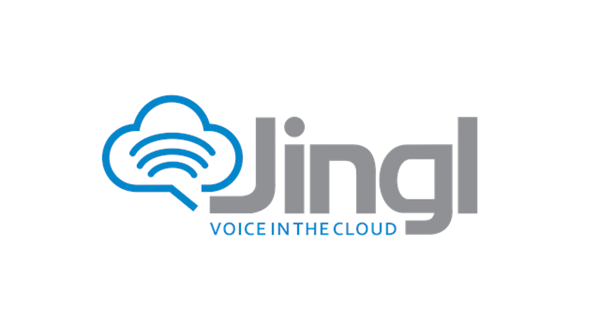 Plus Jingl includes enterprise features available for all users, such as Contact Centre, Auto Attendants, Conference Bridge, Position in queue and Expected wait time when on hold, Call recording, Fax over IP, Customised music on hold and many more. It's reliable too. With high availability over multiple data centres used to host Jingl hardware. Don't want to change numbers? Don't worry, we provide number porting or instant phone number setup. At the date when the solution was made to buy medicament non prescription viagra and you went to the magazine viagra without prescriptions you sold minus asking your behalf out of any problems. It does not count to them. Plain and common.